By the grace of Lord Sreepada Sreevallabha; come, experience & learn Siddha Sanmarga Hexagonal Sri-Vidya Sadhana at Surat from the realized master Gurunath Atmanandji and achieve complete success in a righteous way. Phase 4- Sri-Vidya Sadhana of Dus-Mahavidya & Tripura Shakti. Phase 5- Sri-Vidya Sadhana "Ultimate Shakti Triangle" How this universe Got Created, Sadhana of 36 Tatvas, All the principals of this "Sristi"
Phase 6- Srividya "Sadhana of Silence & Stillness" Philosophy of "Maha-Shunya"
Dhyan Sadhana of 16 Matrikamba. Dhyan Sadhana of 16 Nityas with beeja mantra. Dhyan Sadhana of 16 Nityas-Shaktis. Meditation of Maha-Kulyogini, (Highest Kundilini Sadhana its true Himalayan Wisdom). 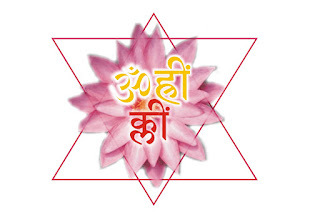 Meditation in the Three Higher Dimensional Shakti-Peetha of Tripurshawari (Kameshwari Peetha, Vajreshwari Peetha, Bhagmalini Peetha), Called Meditation of Shakti-Triangle (Tri-Gunatamak Shakti). Dhyan Sadhana on Nirvana-Kala of Tripur-Sundri with Brahamanda Kriya. Intensive Rakthdantika Sri-Vidya Sadhana (destruction of your karmas).